Perfect for the child who loves to play hairdressing! Gotz 32cm hairstyling head is a durable vinyl head and shoulders doll with deep rooted high quality blonde hair suitable for lots of brushing, washing and styling. 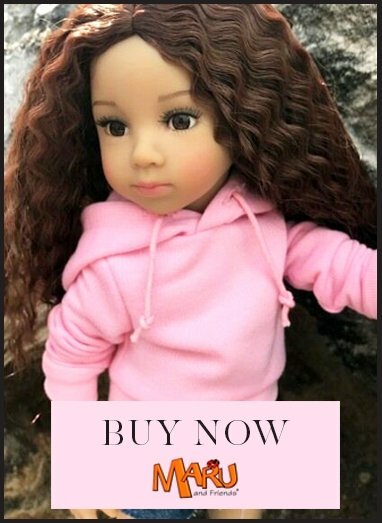 This Gotz doll styling head is the best on the market. Not just superior in quality but also in hairstyle. This head has no fringe, giving endless styling possibilities. The set comprises 58 pieces which includes: a hairbrush, 8 stretchy hairbands, 24 assorted butterfly clips, 6 traditional flat clips, 10 rollers, a bag to keep everything in and not least, a make-up set! Dress her with jewelley, give her lips a shine, paint her eyelids with eye shadow and practise to your heart's content! Then before bedtime remember to remove the make-up so that it doesn't stain the vinyl. Start all over again tomorrow for a totally new look!